Sieve al purpose flour, salt, baking powder and baking soda together and keep aside. Beat butter and sugar till fluffy, add egg to the mixture and beat well. Add flour little by little to this and mix well. Add enough milk to give the batter a dropping consistency. Add lemon juice, lemon zest and vanila essence to this and mix well. Grease aluminium dish with a little butter and pour the mixture into the mould. Cover it with aluminium foil paper. Tie the aluminium foil covering with string. Place the dish on a steamer/ appachembu. Reduce the flame to low, cover and steam cook for about 30-40 minutes. 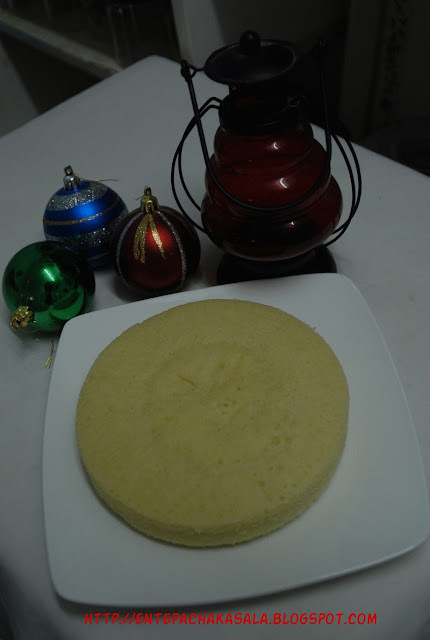 Check whether the pudding is done by inserting a toothpick, if it comes out clean, pudding is ready otherwise steam for another 10-15 minutes or pudding is done. Allow it to cool. 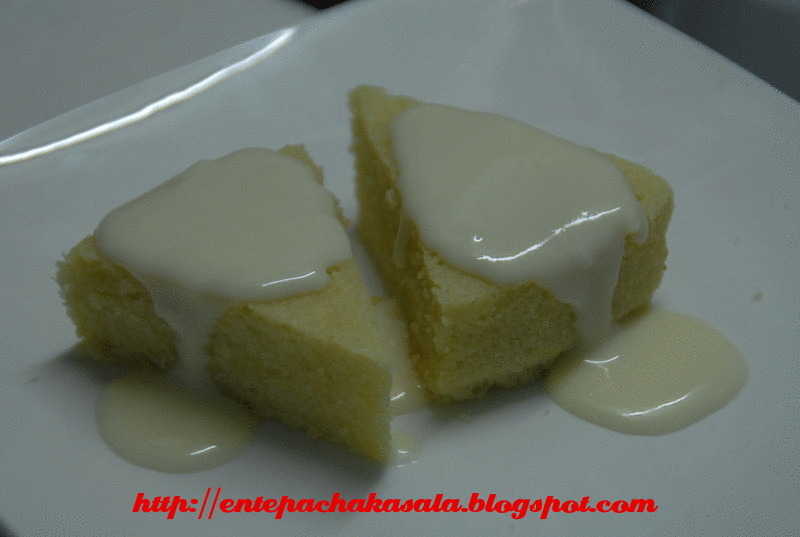 Serve with custard sauce. Mix 2 tbsp milk and cornflour, add beaten egg into this, beat until smooth and keep aside. In a deep bottom pan, pour milk and sugar, allow it to boil. Remove from fire. Pour the cornflour mixture into this and mix well. Transfer the pan again to stove, reduce the flame to low. Stirring continously for 10-15 minutes or till the custard thickens (do not allow custard to boil). Allow the mixture to cool and keep it in fridge. 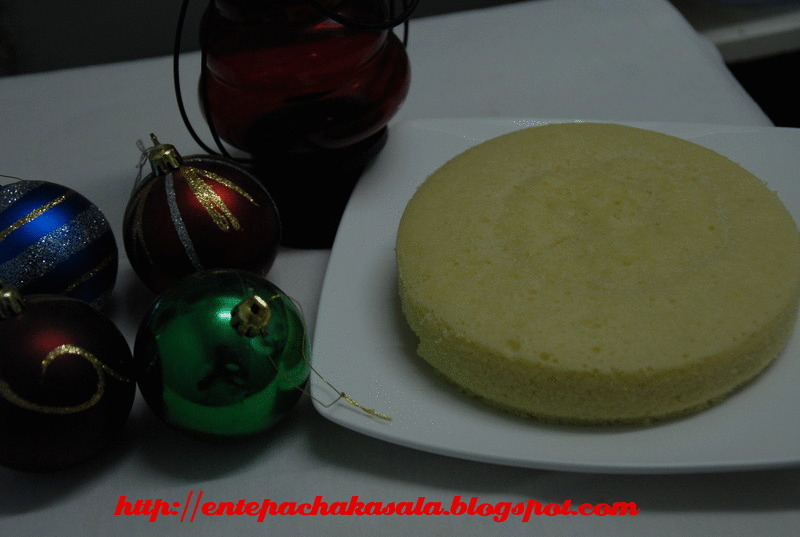 Steamed custard pudding looks adipoli. Merry Christmas and happy holidays to you and your family. wow--- this is a beauty ! bookmarked !! Merry Christmas to you and your family. The Steamed Pudding looks so tempting. Already bookmarked it. cant esist to tell you again that I love your header...it perfectly captures the season's essence. the pudding looks tempting especially with the sauce. Omg, mindblowing pudding and makes me drool..
Looks fab..I esp love the sauce on top..
the custard pudding is yummy and delicious. wah!! adipoli..kandittu sharikum kothiyavunnundu ketto..nalla tempting clicks, Jaisy.. WISH YOU AND FAMILY A VERY MERRY CHRISTAMS AND A HAPPY NEW YEAR!! !